It’s a childhood ritual: The annual visit to the pediatrician, and the one question on every kid’s mind—“Will I have to get shots this time?” Vaccinations are safe and help to prevent a range of horrible diseases, including whooping cough, measles and polio. But vaccines aren’t just for children. Vaccines work by introducing a harmless version of a virus into your body. While the form of the virus inside the vaccine can’t make you sick, its presence prompts your body’s immune system to create antibodies that match the virus. For example, after you get a measles vaccine, your body will be ready to defend itself if you come into contact with the measles virus. This means that you have developed an “immunity” to the measles virus. Many adults don’t realize that vaccinations don’t last forever. The immunity you developed when you received your childhood vaccines has an expiration date. How long your immunizations will protect you depends on what type of vaccine you received, what virus it is immunizing you against, and how old you were when you received the vaccine. If you did not get the full series of recommended vaccines when you were a child, the Centers for Disease Control and Prevention recommends the following vaccines for adults. Your primary care doctor can help you find out whether you had these vaccines as a child. If you have certain health conditions, such as diabetes, a weakened immune system or heart disease, or if you are pregnant, your doctor will have specialized recommendations about which vaccines you need and which you should avoid. Talk with your doctor to make sure you stay protected. You may feel “a little pinch,” as your pediatrician used to say, but your health will thank you for it. Because the virus mutates each season, adults should get the flu vaccine every year. “Td” stands for tetanus and diphtheria. Adults should get a booster vaccine every 10 years. “Tdap” stands for tetanus, diphtheria and pertussis (whooping cough). Women who are pregnant should get a Tdap booster during every pregnancy, and all adults should get one Tdap booster. 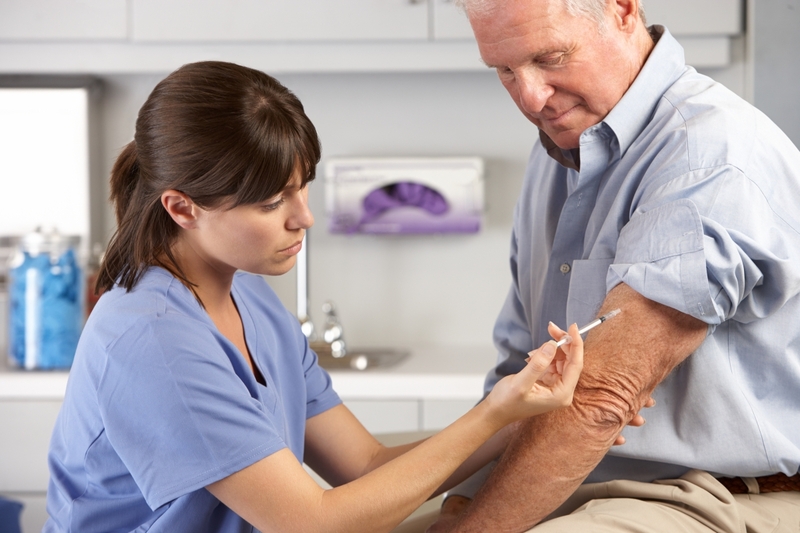 Adults ages 60 and older should get this vaccine, even if they have already had shingles. Women younger than 26 and men younger than 21 should get this vaccine. Find a primary care provider.